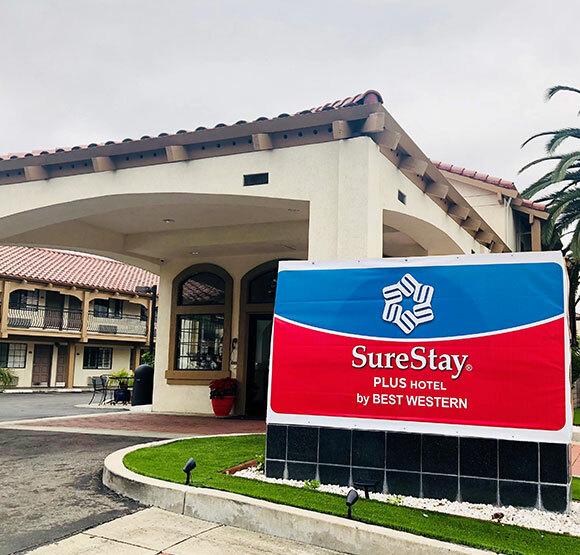 Browse the latest offers from SureStay Plus Santa Clara Silicon Valley and tailor your Bay Area experience to fit your taste and budget. Located minutes from San Jose International Airport, along El Camino Real, our hotel puts you in the center of Santa Clara's attractions, from the city's biggest names in tech to the most popular eateries, shops, and cultural sights. Break away for a Northern California weekend with someone special, or grab the family for a few days of adventure and sightseeing. Whether here on business, or booking a vacation, our ever-changing packages are your ticket to the best the city has to offer. Explore our latest seasonal offers and specials and receive the best available rate when you book online. Check back often for new deals and packages. Intrested in what Featured Specials we have to offer please call the hotel Directly at 408-244-2840.